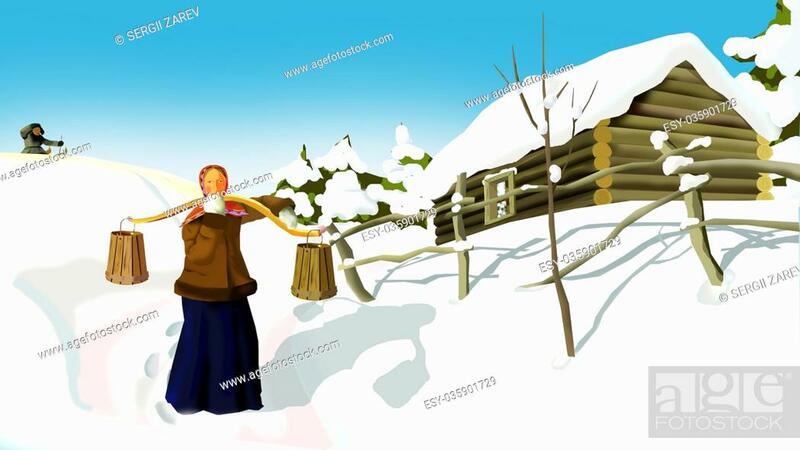 Foto de stock - Russian Winter in a Traditional Village. A Woman with a Yoke. Handmade illustration in a classic cartoon style.